We strongly recommend booking an appointment prior to your arrival at Sekai Nail and Beauty Bar. Although we do take walk-ins, making an appointment will always be beneficial and prevent potential disappointment – we book up quickly. When you call to book with us for the first time, we ask for your full name, your preferred phone number, and for your credit card number to hold facial, massage, or group appointments. This way, your profile will be in our system along with your appointment history and preferences, making future appointments easier to book. We do not require a credit card to hold nail and or hair removal appointments. We love to be a place our clients can enjoy time to care for themselves with friends and loved ones! 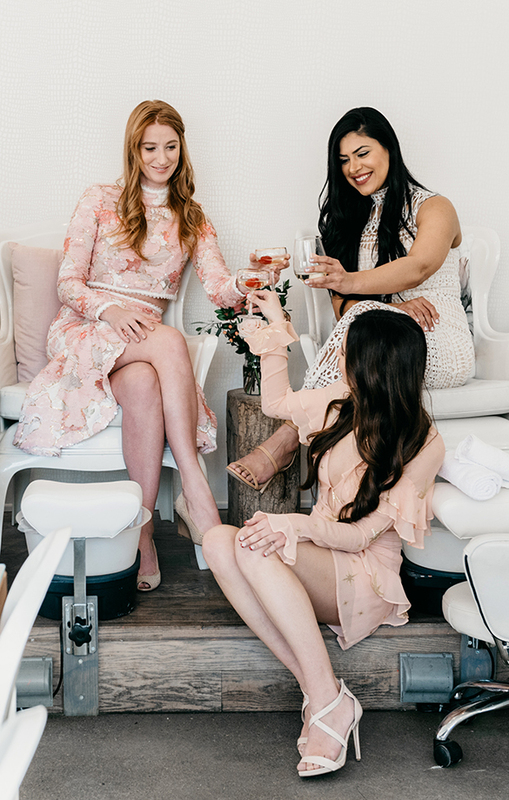 Book group treatments to enjoy manis and pedis, facials and more with friends! A Sekai party session is perfect for pre-celebrations, or just spending some quality time together. For group bookings of 3 people or more, we require a primary contact and a credit card along with a list of all the services the group requires. Visit our Group Bookings page for more information. © 2019 Sekai Nail and Beauty Bar.